Published: March 25, 2009 at 07:50 p.m.
Roy Williams was considered one of the best and most feared safeties in the NFL just two years ago, but now the five-time Pro Bowler is out of work. Williams is among dozens of recognizable, if not standout, veterans who are on the street this offseason because of age, salary-cap considerations or being caught in a roster purge under new leadership. It happens every year, especially as teams re-tool through free agency and prepare for the draft. But at some point during the summer, players will start receiving calls from teams that need insurance or someone to occupy a void that wasn't filled otherwise. These free-agent veterans -- most in their early to mid-30s -- are one- or two-year ringers who still have something to offer. A player such as safety Lawyer Milloy could be called upon, possibly to start but also to exert his firebrand style of leadership, by a staff that needs a no-nonsense, on-the-field coach who still has a little left in the tank. Quarterback Jeff Garcia, a proven starter, figures to end up in a situation that might initially call for him to be a backup but also provides a chance for him to emerge as a starter. Jason Taylor can still be an effective pass rusher, regardless of what defensive scheme a team uses. The pride of many of these players who have accomplished so much -- such as Pro Bowl and Super Bowl wide receivers Torry Holt and Marvin Harrison -- is challenged at this point. Having to compete for a No. 1 role is an unfamiliar situation for them and often pits desire versus ego. Yet the love of the game and at least one more paycheck frequently forces a player to acquiesce and prove they still have value. 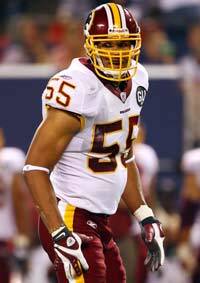 Injuries foiled the longtime Miami Dolphins sack specialist's one-year stint with the Washington Redskins, but at age 34, Taylor could be effectively used as a hybrid rusher in a 4-3 or 3-4 defensive scheme. There seems to be a mutual flirtation between Taylor and New England, where he could be used as former Patriots linebacker Mike Vrabel was. Taylor also could help a team such as the Jacksonville Jaguars, Green Bay Packers or New Orleans Saints. Other veteran DL: DE Kevin Carter, DE La'Roi Glover. The one-time menacing safety completely fell off the grid in Dallas, where he was deemed expendable. His demise over the past year has baffled some coaches around the league. One recently said that Williams' skills couldn't have diminished that much, but how he was used by the Cowboys might have exposed his shortcomings more than it played to his strengths. Williams, 28, recently visited the Cincinnati Bengals, with whom he could be reunited with defensive coordinator Mike Zimmer, who coached the safety during his best years in Dallas. Like Williams, Milloy is more of a run-support safety who needs to be kept out of certain types of pass coverage. He was one of the Atlanta Falcons' best defenders over the past three seasons, but the team want to get younger in the secondary. Milloy, 35, would prefer to end his career in his hometown of Seattle under new Seahawks coach Jim Mora, who initially signed the safety in Atlanta. The Jaguars really could use some veteran help at safety, too. Other veteran DBs: Dre' Bly, Ty Law, Rodney Harrison. Holt, 32, is coming off his worst season since he was a rookie (64 receptions for 796 yards, three touchdowns), but much of that wasn't his fault. The St. Louis Rams were an offensive mess. A salary-cap casualty, Holt still has good speed and solid hands. Since he has played most of his career in a domed stadium, he would seem like a good fit for a receiver-needy team such as the Minnesota Vikings. The New York Jets and Dolphins also could use him. Don't count out Holt's home-state Carolina Panthers. 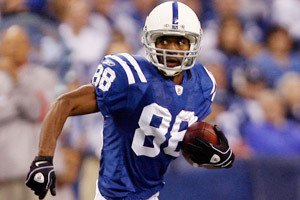 Marvin Harrison quietly worked his way to the top of key all-time receiving lists. The silence surrounding the 36-year-old Harrison's next potential landing spot has been eerily similar to the quiet nature of his highly productive career. There doesn't seem to be much discussion about this probable Hall of Famer's future in the NFL, although it would be hard to imagine there isn't any interest in him. Harrison's small frame, lost step and recent injury woes work against him, but defense still have to account for him. Other veteran WRs: Joe Jurevicius, Amani Toomer. These three former starters -- with Frerotte the youngest at 37 -- are a combined 114 years in age with 40 years of NFL experience. Each likely will be tabbed for a backup role somewhere. With younger free-agent quarterbacks such as Byron Leftwich, J.P. Losman, Rex Grossman and Kyle Boller on the market, Garcia, Green and Frerotte might not be in ideal situations to pick their landing spots. Still, teams needing proven veterans -- the Jets, Chicago Bears, Pittsburgh Steelers, Denver Broncos and Bengals -- could be options. The seven-time Pro Bowler visited the Baltimore Ravens after he was released by the Rams, but both sides don't appear in any rush to seal a deal. Pace, 33, is still viewed as a better-than-adequate pass blocker, but knee injuries have taken some of the drive from his run-blocking ability. With so many teams in need of tackle help, Pace probably won't be out of work for long. He might have to wait until after the draft to see how teams address their offensive line needs, but no one can have enough tackles. Many of the other veteran offensive tackles are coming off injuries, and their health status could determine if they play in 2009. Other veteran OL: OT Wayne Gandy, OT Mark Tauscher, C Tom Nalen, OT Jon Runyan. Arguably the most punishing, road-grading fullback in modern times, Neal, 38, seemingly has been at the end of the line for years. Still, some team always finds a need for a player who knows how to block and can blow away defenders in any situation. The only problem for Neal is that fullbacks are a dying breed and many of them also are key special-teams players. Neal's options could be limited, but he still has value. Dunn, 34, defied the odds for a long time playing at 5-foot-9 and 185 pounds. Teams likely will explore younger options before checking on Dunn, who showed last season that he can still play. Dunn's former head coach, Jim Mora, could find a role with him in Seattle, but the running back might not want to venture that far from his roots and community projects in Tampa, Baton Rouge and Atlanta. McAllister's problematic knees seem to have curtailed his burst. The New Orleans Saints badly need a pile mover, and if they believed McAllister, 30, could continue in that role, they wouldn't have let him go. Other veteran RBs: Dominic Rhodes, Ahman Green, DeShaun Foster. Brooks, who turns 35 next month, said he would like to play at least one more season and that he is exploring his options, which include retirement. Brooks would have to find the ideal system where he could continue to play an effective role off the line of scrimmage. With more teams switching to a 3-4 scheme, his options might be limited. As horrible as it would be for Tampa Bay Buccaneers followers, the NFC South rival Saints might be a solid fit for Brooks. Other veteran LBs: Willie McGinest, Zach Thomas.